In this chapter, we will focus on laser therapy for tattoo first among lasers for pigmentation. Tattoo was selected first among pigmentation disorders or other skin conditions that are treated by lasers for pigmentation because it has a very long history in terms of disorder and treatment. The history of tattoo goes way back to the Stone Age and has been conducted spontaneously in various regions around the globe between where cultural communication was nonexistent. The ubiquitousness of tattoo around the world represents the presence of human instinct to improve their appearance. In other words, tattoo can be considered as the presentation of such instinct. As tattoo is discriminated or viewed as not very desirable in many countries, it may become less and less frequent. However, if it is viewed as one of human instinct, it will not disappear as long as human exists, which means there will be always people who want to remove tattoo. Removing tattoo is one of very important skin aesthetic therapy but is more or less neglected due to the difficulty of the procedure and the uniqueness of the patient group. Tattoo refers to the injection of dye in the dermis, where the dye is taken up by phagocytic skin cells and left as insoluble ink particles. It may fade over time in several years but is maintained for a long time, suggesting that these cells do not move a lot. Inks for tattoos are mostly made of metal salts, oxides or organic compounds (Table 1). 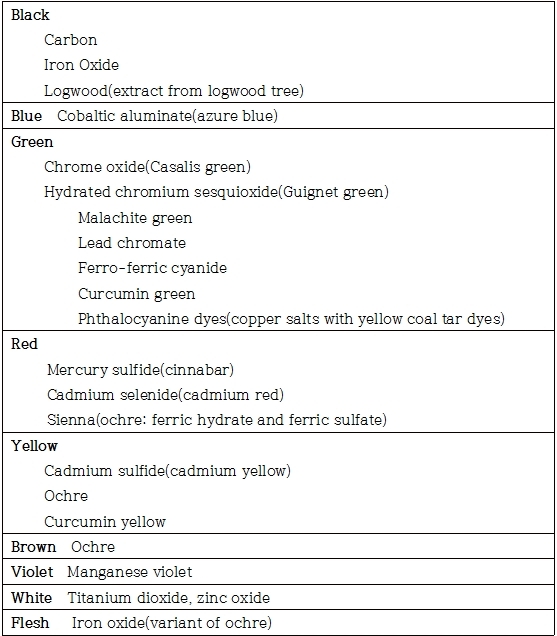 As seen in Table 1, tattoo artists tend to use multiple colors, resulting in very colorful tattoos as seen below (Figure 1). As we all know very well, different dye color has different optimal absorption spectrum, therefore we need lasers of different wavelengths, making the removal more difficult. In addition, considering the fact that a new color may arise from chemical reaction by laser irradiation on tattoos, laser treatment of tattoos can be viewed as a very complex and professional area. The first doctor who used medical laser was Leon Goldmand, who has already published the possibility of using Q-switched ruby laser for the treatment of tattoos in the mid 1960s (Goldman L, Wilson RG, Hornby P, Meyer RG. Radiation From a Q-switched Ruby Laser. Effect of Repeated Impacts of Power Output of 10 Megawatts on a Tattoo of Man. J Invest Dermatol. 1965 Jan;44:69~71.). Despite the presented possibility of Q-switched laser, the first laser to be used in the clinical practice was CO2 laser(Brady SC, Blokmanis A, Jewett L. Tattoo removal with the carbon dioxide laser. Ann Plast Surg. 1979.2.482~90), Argon laser(Apfelberg DB, Maser MR, Lash H, Rivers J.The argon Laser for cutaneous lesions. JAMA. 1981 May 22~29;245(20):2073~5), as it has tissue damaging pattern of nonspecific tissue destruction similar to salabrasion and dermabrasion, which were traditional methods of tattoo removal. In addition to Argon Laser, other lasers of various wavelengths (505, 577 or 690nm pulsed dye laser) have been attempted but scarring could not be avoided. In the mid-late 1980s, ‘Chemo-Laser Technique’ was developed to reduce the number of treatments and scarring (Ruiz-Esparza J, Goldman MP, Fitzpatrick RE Tattoo removal with minimal scarring: the chemo-laser technique. J Dermatol Surg Oncol. 1988. 14(12):1372~6.). Combination with other treatments, to make up for the insufficiencies of laser therapy, is a general course often encountered in the course of laser development. After the first attempt in the 1960s, Q-switched ruby laser has not been clinically used until late 1980s, and first clinical study was published in 1990, possibly with the development of ruby laser which generates stable and sufficient fluence (Taylor CR, Gange RW, Dover JS, Flotte TJ, Gonzalez E, Michaud N, Anderson RR. Treatment of tattoos by Q-switched ruby laser. A dose-response study. Arch Dermatol. 1990;126(7):893~9). Since then, lasers with the idea of selective photothermolysis has appeared for tattoo treatment, and such lasers has been studied for mechanism of action and histological findings. In 1991, Taylor reported that intracellular dyes are broken down to 10-100 particles on electron microscopy, after treating tattoos with Q-switched ruby laser, and that they exists inside fibroblasts, macrophages and mast cells before the treatment (Taylor CR, Anderson RR Gange RW et al Light and electron microscopic analysis of tattoos treated by Q-switched ruby laser J Invest Dermatol 1991 97 131~136). Due to the high absorption rate in melanin pigment, ruby laser tend to leave skin hypopigmentation. The later Q-switched Nd:YAG laser with longer wavelength, however, has relatively lower absorption rate, causing less of such side effect (Kilmer SL, Anderson RR Clinical use of the Q-switched ruby and the Q-switched Nd:YAG(1064nm and 532nm) lasers for treatment of tattoos. J Dermatol Surg Oncol. 1993;19(4):330~8.). Q-switched alexandrite laser, the wavelength of which is in between ruby and Nd:YAG lasers, has also been introduced for the treatment of tattoo around the same time (Fitzpatrick RE, Goldman MP, Ruiz-Esparza J.Use of the alexandrite laser(755nm, 100nsec) for tattoo pigment removal in an animal model. J Am Acad Dermatol. 1993;28(5 Pt 1):745~50.). With more and more doctors experiencing clinical removal of tattoos, there have been reports of post-procedural tattoo ink darkening in various cases, calling for careful treatment. In 2007, Freedom2 released InfinitInk which consists of small capsule (made of PAMMA), containing bioremovable dyes. 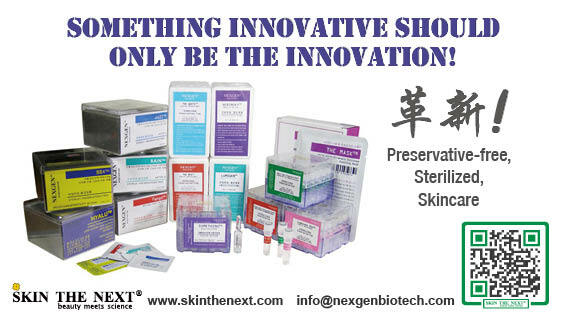 This ink is worth noting because it is used in the same method as the conventional tattoo inks, but is easily removable, whenever needed, by breaking the capsule at once with various currently available lasers. Recently, Kossida and Rox Anderson compared one treatment and 4treatments every 20 minute with Q-switched alexandrite laser. They reported that multiple treatments method was more effective for removing tattoos 3 months laser(2011 ASLMS annual conference abstracts #76). The demand for tattoo removal will not dwindle in the future. Various lasers have been attempted for the purpose, but Q-switched laser is most commonly used at present. If anyone tattooed firsthand, they would be amazed at how deep the dyes should be inserted. Furthermore, as tattoo artists use multiple colors, making it more difficult for doctors to remove them. Laser for tattoo removal requires more studies and efforts, and requires joint studies between scientists and doctors.